The Hobie way of life can be so beautiful! All participants of the season opener of the Super Sail Tour Series came to the wonderful city of Grömitz in Northern Germany near Lübeck. A sailor needs only wind, not too less, but not too much. Then, when the sun is shining without clouds in the sky and water shines in Caribbean colors, then most sailors are more than happy. Seen on the weekend in Grömitz, where the elite of the German Hobie 16 sailors came together as well as some great Danish neighbours. 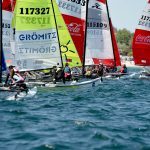 Once again many World Champions, European Champions, German Champions were competing on the water, but also many junior teams wanted to join Super Sail Tour. 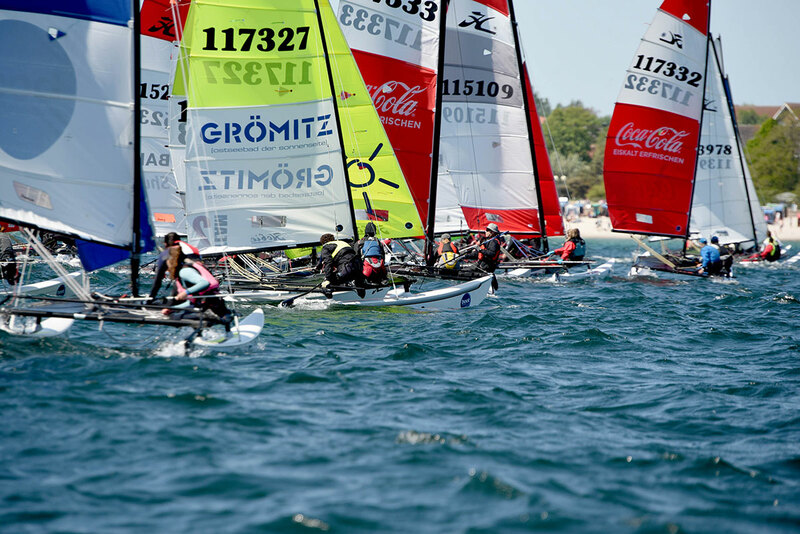 On Saturday with rather light winds, the total of 10 races towards the end became more demanding. Up to 19 knots of wind from the east, caused by the thermals over land, the team boot Düsseldorf Lauritz Bockelmann came with his crew Kim Liedke from Sailing Club Kellenhusen e.V. best with the demanding conditions. Leave well-known names such as the multiple old master Detlef Mohr or the strong Danes Nicolaj Björnholt in the end clearly behind. A daily victory was granted to the overall winners, but if the worst placement was a 5th, everything is just right. “We are happy that we were able to win here. These were our conditions, but we also just want to have fun on the water and I think that belongs to the overall results. I always want to win, but if it does not work, you have to accept it, “said Lauritz Bockelmann after his victory. 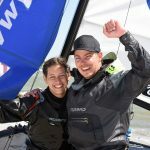 In the class of the Hobie 14 Friedhelm Weller won by the sailor club Dümmer Lembruch e. V. before Philip Schnier, also from the Dümmer. 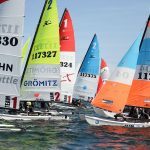 The 76 catamarans and O’pen Bic dinghies, which found their way to Grömitz, were offered a lot in addition to the tight water program. In the evenings, there was delicious food, drinks and on stage live music for all sailors. 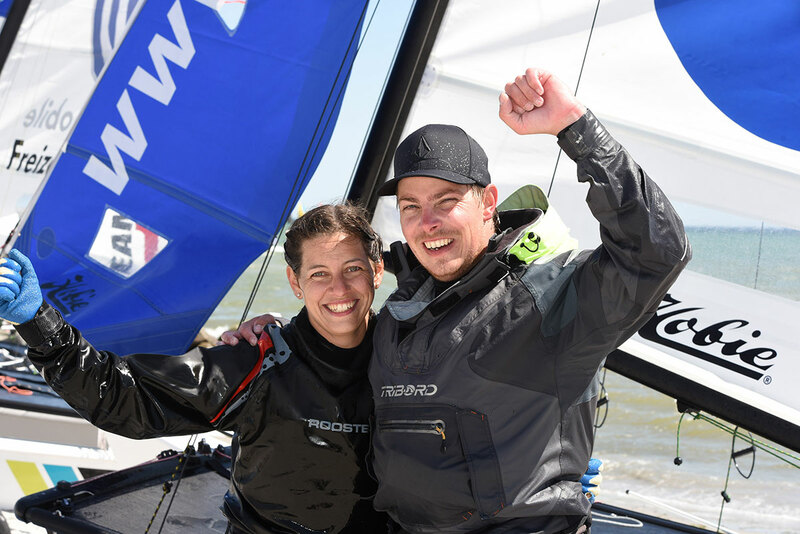 The youth rating of Hobie 16 won by Lasse Abratis with his sister Stine from Nordwind Wassersport e.V. 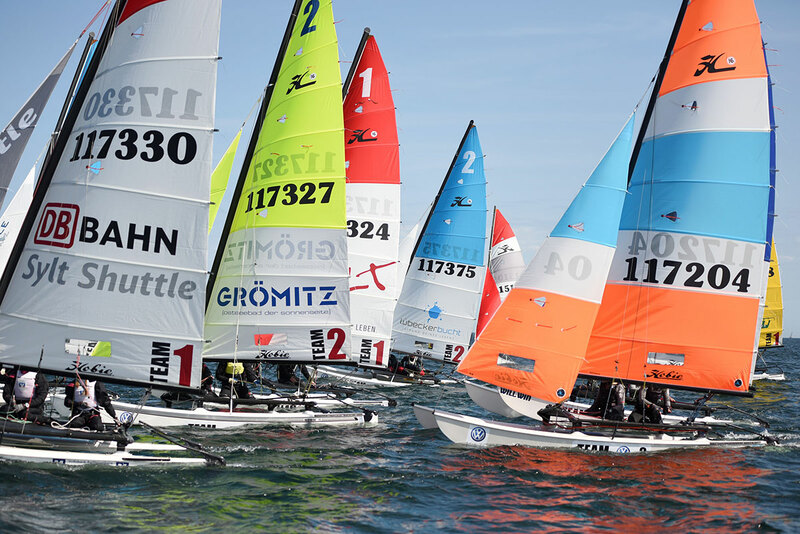 is it about the California Beach Cup, a challenge trophy donated by Volkswagen Freizeitmobile and a weekend Westerland on Sylt to the grand finale of the Super Sail Tour in August.